Electric bicycles from Trek and Electra in-stock now! This is the biggest advancement in helmet design for protection against cycling concussions in decades. Nearly 99 out of 100 times, WAVECEL can prevent a concussion. There's nothing else like it, exclusively from Bontrager. With WAVECEL you're up to 48x less likely to get a concussion compared to a standard foam helmet. Come in and find your next bike on our bike finder and Digital Fit Station. 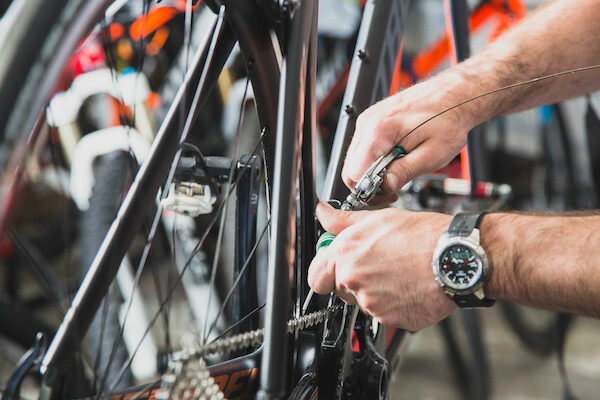 See descriptions of our common bicycle service packages. With the Unconditional Bontrager Guarantee ride it and love it. If not we'll take it back.